If you are using an Android device and would like to test new builds of ProtonVPN app before they’re released publicly, you can join the ProtonVPN Android app beta program. Like our non-beta Android VPN application, the beta is completely free to join and use. 1. Go to ProtonVPN application page in Google PlayStore. 2. Scroll down to the bottom of the play store page and tap on I’m in. 3. Tap on Join in the pop-up. 4. That’s it, you have joined the Beta testing program! 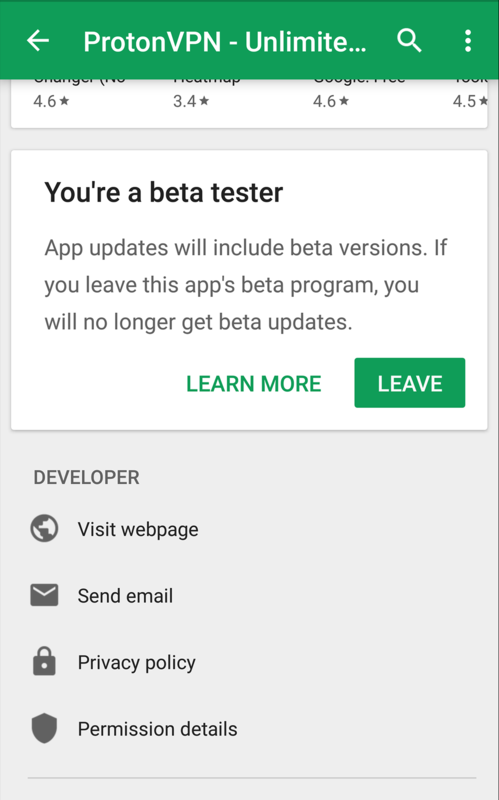 If you would like to leave Beta testing program, you can tap on Leave. 1. 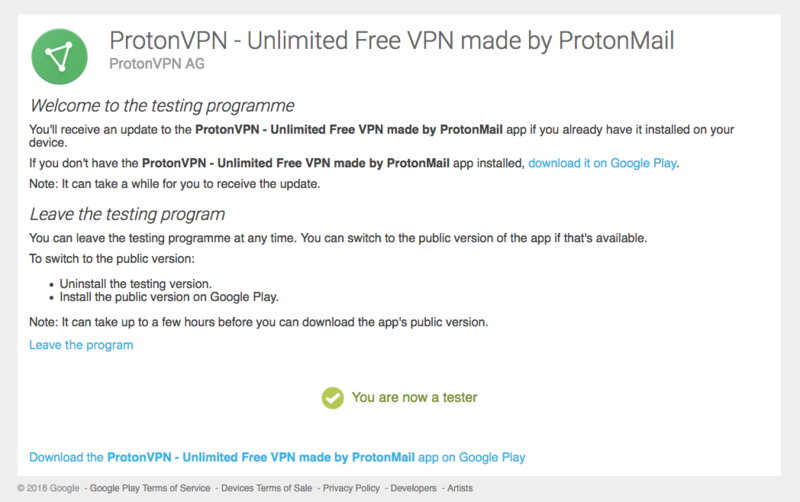 Go to https://play.google.com/apps/testing/com.protonvpn.android while logged in with your G-Suite account and click on Become A Tester. 2. And that’s it! You have registered for ProtonVPN Android app beta. 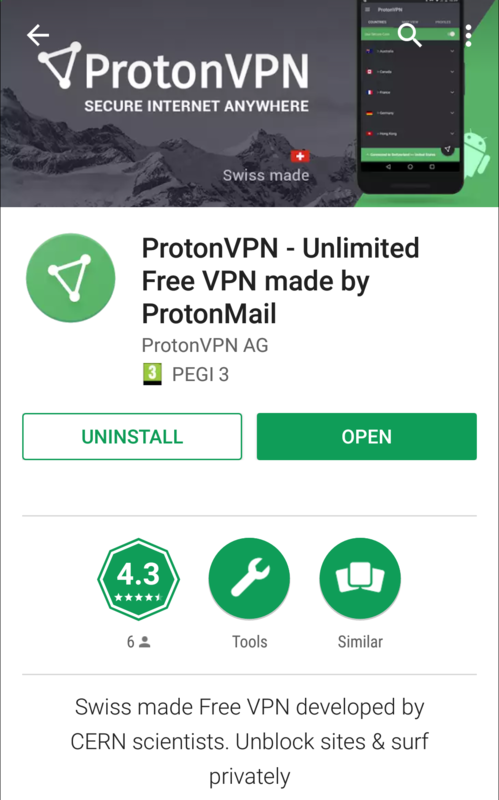 You can download the app or leave beta program inside ProtonVPN Android app page in Google PlayStore. 1. What is the difference between participating and not participating in beta? While in beta, you will always get to test the newest app bugfixes and features before they are released to the public. Also, you will be able to report any bugs the build might have, which will allow us to provide a better application to the community. 2. Will I need to install two different apps? No, you won’t need to install two separate applications, the beta build will replace the ProtonVPN app that you have already installed. You will get to use newest app builds and features first and you will be able to directly participate in the app development by providing feedback and reporting bugs. 4. Can I use my ProtonVPN account to join the beta? 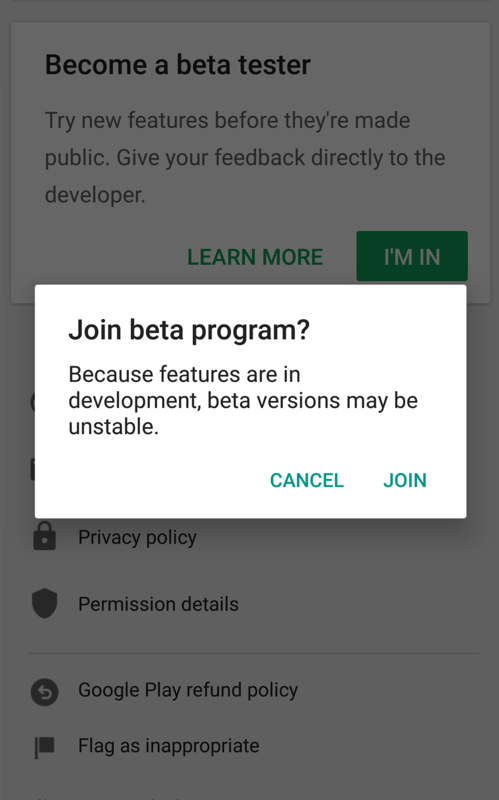 A Google Play store account is needed to participate in the beta program since the Android application is distributed through the Play store. 5. Can I opt-out any time? Can I get back in? 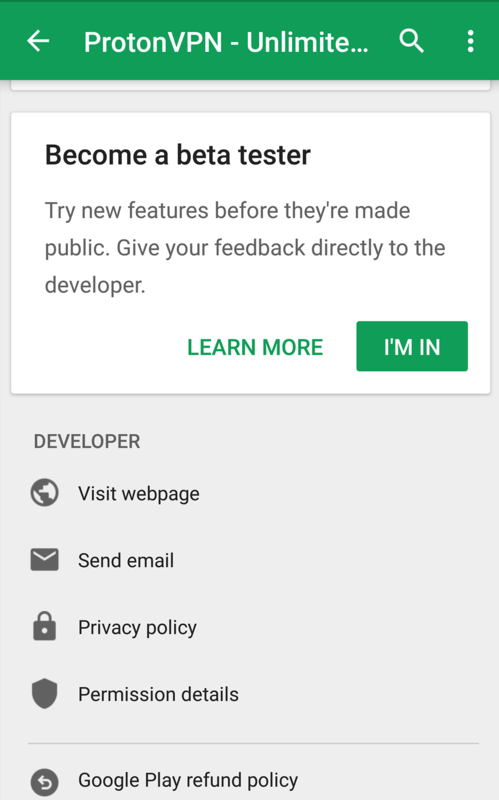 Yes, you can leave beta testing program at any time and you can return to beta testing at any time as well. 6. How do I use the app? How to use proton VPN when sending and receiving and writing emails via my protonmail address? Shall I never log out VPN? Please provide instructions in details. Hello Sophie. Protonmail is already an encrypted email service that secures your emails without any VPN. VPN is used more on the general browsing while on the internet. We suggest keeping it on all the time you wish to stay secured, that will be the easiest thing to do. Its up to you when you wish to access something with less ping/ms and without security. How can I participate in MacOS app beta? i would think that the direct download of the app would be available on the website. Google Play being the only way to access the app is a big turnoff. All great apps offer a dummy app on play store and only offer the full version as a direct download from the website that is free from google’s terms of agreement. Hello, we agree and we are aware of that. Please contact us through the following link and we will provide you with a direct .APK file.